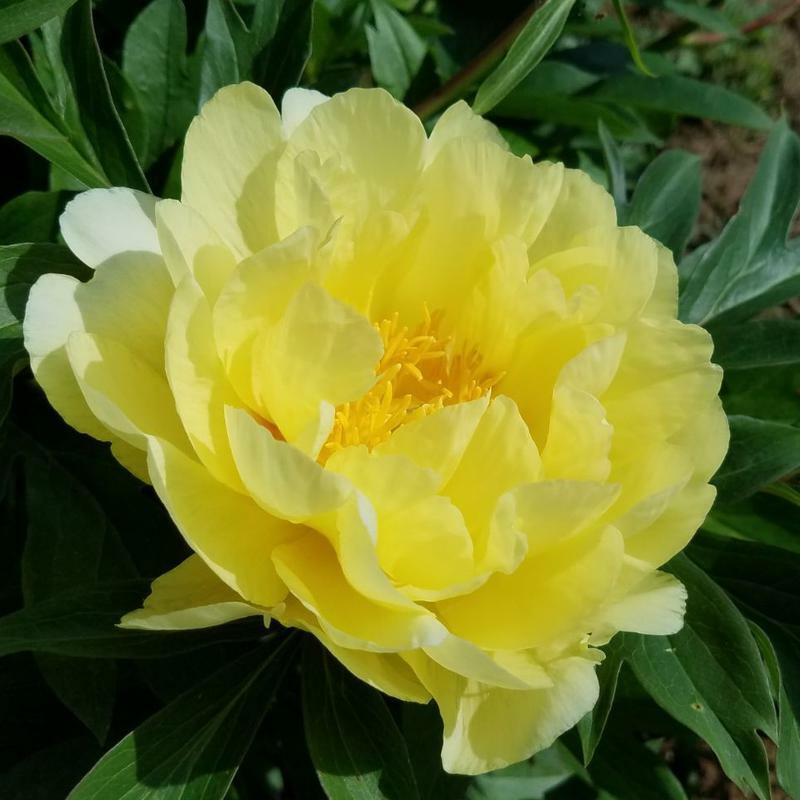 Semi-double, on well grown mature plants double flower possible; large, excellent color, opens clear deep yellow, inconspicuous red flares on outer petals. Large, well formed, with excellent substance. Many side-buds extend bloom. Excellent habit, vigorous, fast to increase, free flowering; grows a large, medium tall bush. Strong stems clad in attractive deep green foliage. Leaves deeply cut, very healthy, shape reminiscent of tree peony ancestry. An excellent garden variety with vivid color that can be seen from a distance.